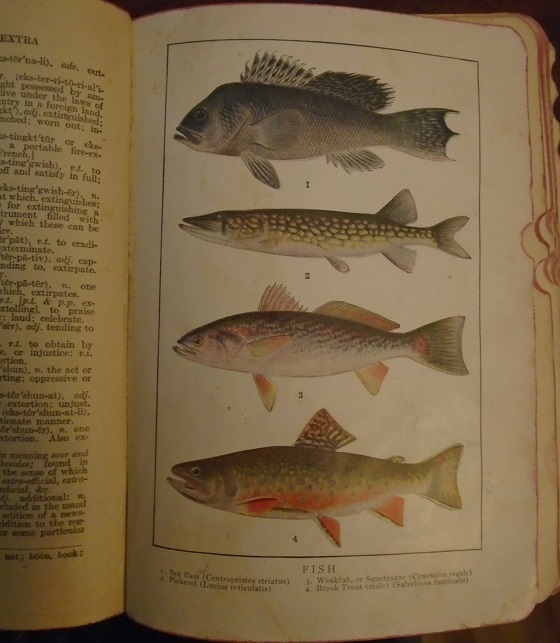 On Black Friday I went to the Main Street Antique Mall in Ishpeming and came home with a bookcase and a dictionary. “ … thoroughly up-to-date … hundreds of the new technical terms, new war words, and old military expressions revived by the Great War—”. Laced the ball, batted it very hard. Lamps, eyes of the batter. 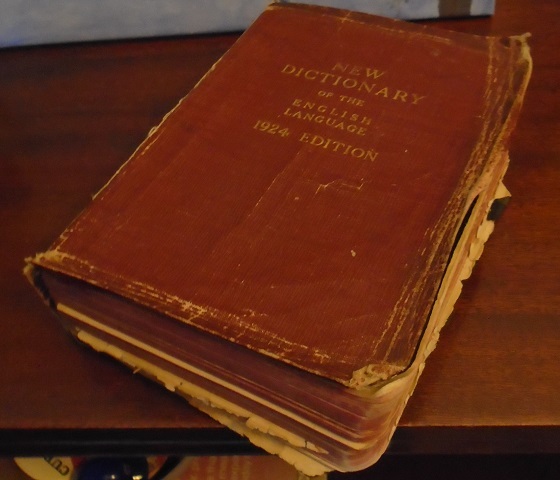 I told David that I had to have this dictionary, there are base ball terms from 1924, and it seems to be only $3, and he looked at the frontispiece and said yes, take it. The dictionary weighs at least a couple of pounds, is a few inches thick, measures something like five by seven, and obviously is so much more than words. Once owned by Anna Karlovic and Mary Karlovic, they, or someone, circled several words in pencil including “rosy,” “ring,” “rope,” “rear,” “romp,” “pray,” and “Fahrenheit.” Both “pear” and “peat” are underlined. 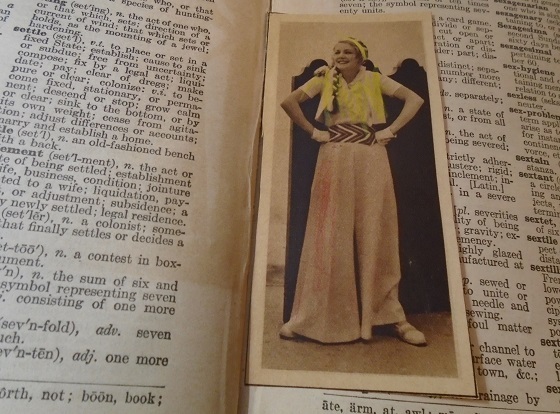 And amid the “S”es they, or someone, tucked a clipping of a magazine photo of a woman in a snazzy outfit. Mussy ball, a game which is full of blunders.